The Val Pusteria is a place-to-be for all the nature lover! It is bordered by the fantastic Parco Naturale di Fanes-Sennes-Braiesand and by the Parco Naturale delle Dolomiti di Sesto, which embraces some of the most famous Dolomite peaks like the Tre Cime di Lavaredo. The valley’s main centre is Brunico: with a small population of 13, 700 inhabitants, the town is very lively. A busy market town in such a wild area! Brunico’s tourist office (www.bruneck.com) open 9am-12.30pm and 3-6pm Mon-Fri (9am-12pm Sat) is the main contact point for the region. Zou can request here more detailed information on hotels and eating options in the town, but also in its surrounding villages and countryside. 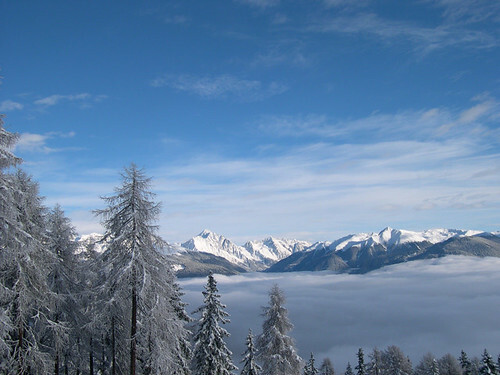 Plan de Corones are located just 4km south of Brunico, and offers a wide green and blue runs, ideal for beginners on ski. The ski-station, linked by cable car to Brunico, are part of the Dolomiti Superski pass. Gear can be hired in Brunico and Plan de Corones. Absolutely to visit and pretty easy to drive to from the Val Pusteria, here it comes the astounishing beauty of Lago di Braies, a peaceful area. Alta Via No 1 starts here for all the trekkers and walking addicts. To get more easily to Parco Naturale di Fanes-Sennes-Braies, try from the Val Badia or from Passo Falzarego. The other end of the valley overlooks the Austrian border and are the Sesto Dolomites, a pretty spectacular tracks. The Valle Campo di Dentro is located near San Candido, while the Val Fiscalina is near Sesto. Lots of walking and cross-country skiing trails are to be tried here. From the Val Fiscalina izou can access the long but easy walk along trail No 102, up to to Rifugio Locatelli (2405 m.). 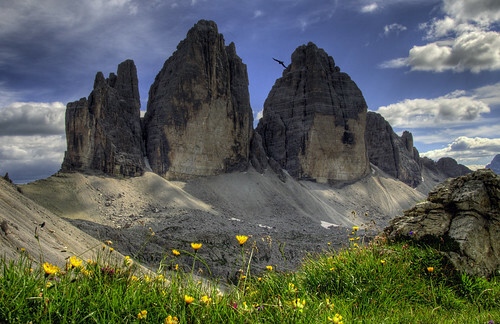 Here you can rest and take a fab pic of the Tre Cime di Lavaredo. Around the Tre Cime the trails are easy enough for beginners and families, and also very crowded in July and August. Possible also to rafting and mountain biking in the warmest season. 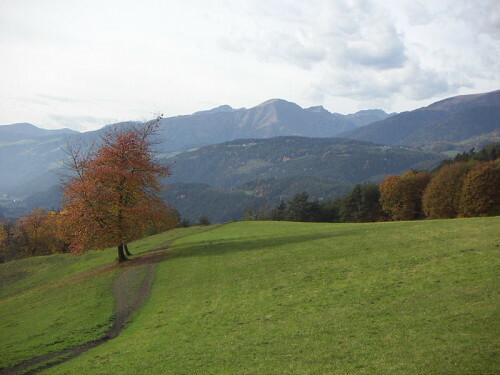 This entry was posted on Saturday, September 1st, 2012 at 12:11 pm	and is filed under Discover Italy. You can follow any responses to this entry through the RSS 2.0 feed. You can leave a response, or trackback from your own site.